According to historical records, more than two thousand years ago, Duke Wen of Jin was forced to flee abroad in order to escaping form a court struggle took place in his country. His life was miserable back then, constantly under the torture of hungry and exhaustion. His servant, JieZiZhui, did not hesitate to cut a piece of meat from his leg to feed him. After he reached the throne, he wanted to return the favor. However, Jie refused to take the reward and took his mother to live in Mianshan. Duke Wen of Jin had no choice but to set fire to the mountain. He thought that Jie who worried about his mother, would definitely come out with his mother. He never imagined that the fire would take the life of Jie and his mother. Duke Wen of Jin, who was remorseful, therefore ordered that the fire should be banned on the 105th day of the meson, which is the distance from the winter solstice. Every household can only eat cold food on that day. This is the source of the cold food festival. Cold Food Festival is the day before Tomb-Sweeping Day. The ancients often extended the activities of Cold Food Festival to Tomb-Sweeping Day. Over time, Tomb-Sweeping Day replaced Cold Food Festival. Since the Tomb-Sweeping Day, it has been included in traditional Chinese festivals. 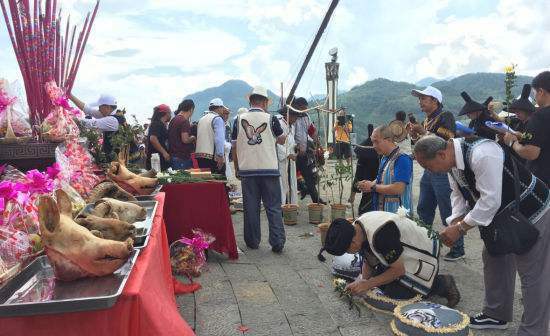 In addition to paying attention to the ban on fire and sweeping the tombs, the Tomb-Sweeping Day’s customs include a series of customary sports activities such as walking, swinging, squatting, playing polo, and inserting willows. During the tomb sweeping in the Qingming Festival, the families prepared Xiangma, colored paper, fried several kinds of meat dishes, and took wicker frames and shovels. Under the leadership of the family elders, they go to the ancestral grave together, burning paper money, offering sacrifices to tea and wine, and breaking food. This ritual is to honor the dead and pray for the living. 2.Spring Outing Qingming is a day for memorial, yet it is a day for refresh as well. This tradition of spring walking can be traced back to the Tang Dynasty and is still popular nowadays. 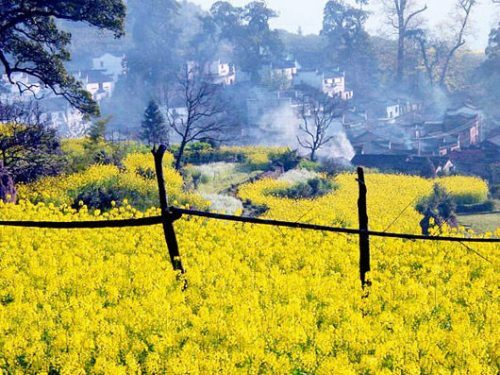 As Qingming is in Spring, everything on earth starts waking up from the chilly winter. Rivers begins to flow, birds begin to sing, flowers begin to blossoming and grass begins to grow. It is hard to resist the temptation of going out for a walk in spring and appreciate the beauty of nature. During the Tomb-Sweeping Day in China, some folk taboos and traditional geomantic omen theory taboos should be avoided. Let’s take a look at the precautions of the Tomb-Sweeping Day. First, pregnant women, children, Women in Menstruation are to avoid sweeping the grave. Second, you can’t take pictures in the cemetery, laugh or make noise. Playing and laughing in the cemetery is extremely disrespectful to the ancestors and is prone to bad luck. Third, avoid wearing ubiquitous clothing and wear plain clothing especially in Tomb-Sweeping Day. Fourth, if we find the grave tombstones broken or have plants grown on them, you should immediately repair and clean plant on the grave. Fifth, Don’t go out late at night. Tomb-Sweeping Day is one of the three major ghost festivals in China. At night, the Yin is heavy, and it is easy to sneak out the wild ghosts when you are hanging out. The above is the basic taboos I hope to help everyone. Enjoy the Beauty of Nature in Spring OutingIn short, the sacrifice is for a better commemoration, to remember the achievements of the ancestors, to thank the ancestors, and to make the future better. The people we live in are born to death and cherish the present. 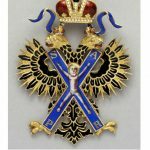 ← Which Medals can be Given to the Head of State?